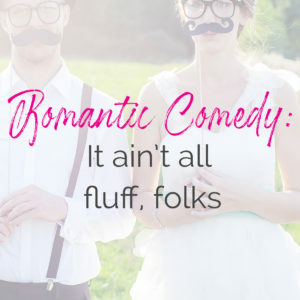 My name is Krista Phillips, and I write non-fluffy romantic comedy. I know… what? There IS such a thing? How can that possibly be? For those who may not know it exists, I thought I’d enlighten you today! I like to say I write filled-cupcake fiction. Fluffy (fun) on the outside, but when you bite in, there is a nice, deep, rich inside that kinda takes you by surprise. WHOOP for no dippy, boring romances!!! See, now that review made ME squeal with glee and then blot out tears from my eyes. My point is: Just because a book is labeled romcom or has a “fluffy” looking cover doesn’t mean that it is an all-fluff book. Also, I want to be clear. There is nothing wrong with a fluffy-light-hearted book. I enjoy them all the time, too! Sometimes, you just need a giggle, plain and simple! It’s just not what I personally write. Do you read “funny” books in your fiction? What’s the last book you’ve read that you would label “comedy”? Hi Krista, yes, bring on the funny stories! Life is not just made up of serious moment after serious moment- there has to be some humour in there!! I have just finished reading Lyn Ellerbe’s Love Beyond Repair which had me laughing out loud. Your book was a good romcom. Does Pepper Basham’s books count? I’ve read Just the Way You Are recently and loved it. Pepper’s books DEFINITELY count!!! Her contemporaries at least!! She’s actually in a romcom novella box set with me coming out next month!!!! Squee!!!!! Yes yes, I am!!! Love sharing the non-fluff rom com stage with wonderful authors like Krista Phillips, Kara Isaac, Courtney Walsh, Melissa Tagg….WOW!! Hi Krista! Humor adds spice to life and makes the tragic moments bearable. Love reading Jan Elder’s Moose Creek stories. A memorable story or movie has a great mixture of conflicts, serious moments balanced with humor and fun. Best wishes and happy writing. Fun!! I’ll have to check hers out!!! I love funny stories. I’m terrible with titles, so I can’t tell you the last funny book I read. I wholeheartedly agree that just because a book is funny doesn’t mean it lacks substance. Oh LOVE LOVE me some Mary Conneally!!!! She and Jen Turano are QUEENS of historical romcom!!!!! I enjoy funny books. My favorites are anything by Jen Turano and Janice Thompson. They area good and I always laugh out loud when I read them. Oh yes, they definitely have romantic comedy down pat!!! I like comedy if it’s natural. I would label Pepper Basham as writing romcom with a lesson! I’ll try yours out! Paula!! Thanks so much for the mention. And I love Krista Phillips!!! Yes, I like books that make me laugh…..Pepper Basham for sure. And I found one by Kara Isaac to be fun, also. Love me some Pepper!! Kara’s is on the top of my list to read as well!!!! Such sweet women, both of them, and GREAT writers!! Yay, Jackie!! Thanks so much!! And Kara’s books are wonderful!! I really enjoy Jenn Faulk’s books – you’re laughing one minute and crying the next! 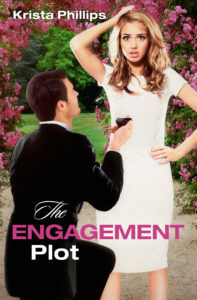 I love a good romcom, and your The Engagement Plot was a good one. Aww, thanks SO much Susan!!! So glad you enjoyed it!! I’m not sure about the last humorous book I read but I can think of a few that stand out in my mind. The Secret Life of Sarah Hollenbeck by Bethany Turner, A Reason to Run by Christina Coryell, and Pepper Basham’s books. Thanks for the reminder about The Engagement Plot. I have it in my kindle library but haven’t read it yet. You’re welcome, Sherri! Hope you enjoy!! And I diitto all 3 of those recommendations!!!!! Oh OH! Bethany’s book!! And Christina is a fantastic writer! Thanks for the mention, Sherri. You should definitely try out Krista’s book!!! It’s such a fun story. I love funny stories, but I love even better ones that have solid messages, non- preachy, but Biblical that I can ruminate about and apply to my own life! Agreed– but the BEST (in my personal opinion because, well, it’s what I write) are those funny stories that have solid, non-preachy, Biblical messages!!! That’s what I aim for!!! I love a good comedy myself too!! It is always great to truly lol…laugh OUT loud!! Yes!! I always say if I can laugh AND cry while reading your book, it’s a GREAT book!!! I enjoy reading funny stories with bits of romance and life lessons. I think humor is something we all need in our lives. The last book I read that was funny would be The Secret Life of Sarah Hollenbeck by Bethany Turner. Jan Turano is also a really fun author, many of her books had me laughing out loud. I love funny books. It usually takes quite a bit for me to laugh out loud while reading, but I enjoy ones that make me do just that. I love Jen Turano, Kristi Ann Hunter, Pepper Basham, and Kara Isaac. Regina Jennings is great, as is Bethany Turner. I agree on all counts!!!! I love your cupcake analogy – a great way to put it. And books with giggles and Jesus make great reads. For me, I think a good rom-com has to have some meat to it. There has to be a good story mixed in with the humor for it to be memorable. There’s enough “fluff” on tv if that’s what I need. I wish I had some authors to add, but you ladies have done a pretty thorough job. I’m adding a few new ones to my list! I loved the Engagement Plot and every Kara Isaac book I’ve read–just started Then There was You yesterday. Can’t wait to get back to it!